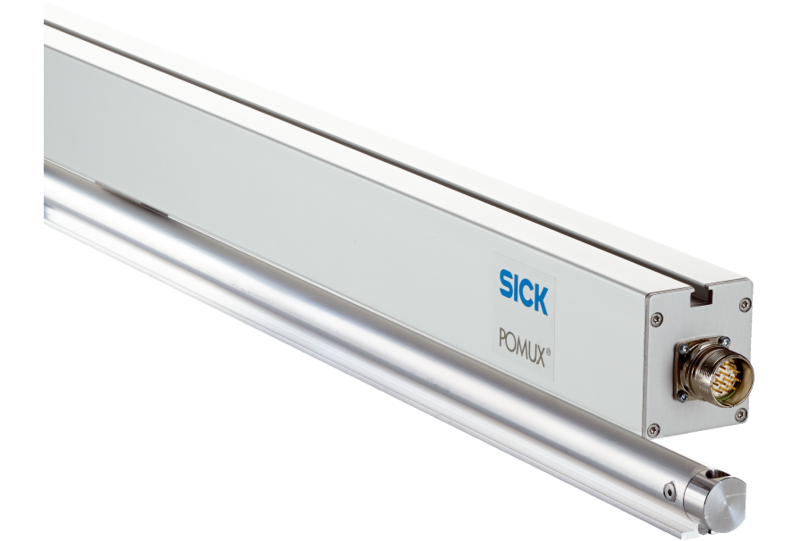 The POMUX KH53 non-contact linear encoder can measure absolute lengths up to 1,700 m. The encoder consists of two main components: The non-contact read head determines the absolute position using a series of measuring elements attached along the measurement path. Each measuring element consists of a number of permanent magnets. Since the distances between the magnets are unique, they can be used to develop an absolute measuring code. No reference run is required due to the absolute position being determined. The read head is passed parallel to these measuring elements at a distance of 25 mm or 55 mm. With a measuring length of up to 1,700 m, the KH53 is ideal for use in cranes, in storage and conveyor systems, and for railed vehicles. Due to the non-contact technology, this system works wear-free even in harsh ambient conditions,so that a long lifetime is ensured. 1) According to EN 50 170-2 (DIN 19245 Parts 1–3) electrically isolated by optocoupler.